Whether you want to experience the hot new exhibit at an art musem, or visit a sleepy history museum, finding just the right day to visit a museum can be tricky. The best day to go to a museum really depends on what makes a museum trip a pleasant experience for you. If saving a few dollars makes you happy, you’re in luck. Many museums with admission fees often offer free days. 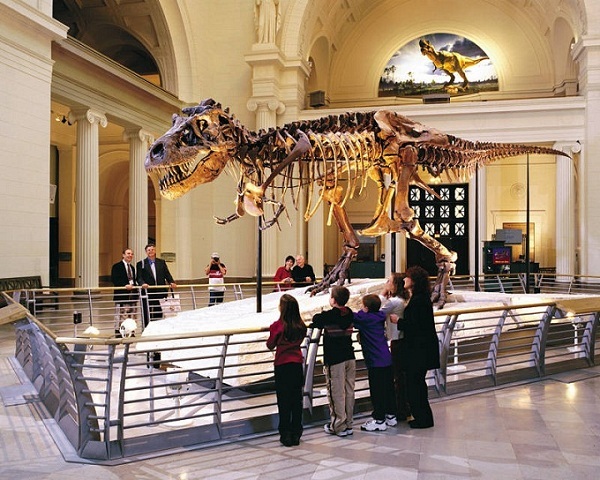 A 2009 survey by the American Association of Museums found that the median admission charge is $7, so a free day can have a sizable benefit for a family or group. Free days vary from museum to museum. Many San Francisco, Calif., museums offer free admission on the first Tuesday of the month; LACMA offers complimentary admission on the second Tuesday of each month. As a twist on the free day concept, the Philadelphia Museum of Art holds Pay What You Wish Day on the first Sunday of every month. If you love milling about with other people and striking up conversations about various exhibits with fellow museum-goers, then Saturday is your day! Other popular museum days are Mondays, Sundays, free entrance days and special event days. There is no perfect, hard and fast rule about the lowest attendance day at all museums. Most museums don’t advertise their low-attendance days so much of this information is anecdotal. That fact may change, however with recent developments in social networking and tracking. A new computer program, for example, pulled data from FourSquare users and found that the Tate Modern Museum in London experiences its slowest attendance day on Wednesday. It’s likely that more of these applications will develop to help prospective museum visitors determine quiet museum days. In general, however, if you prefer to stroll among exhibits with as few people as possible, then it’s often best to visit museums on Tuesday or Wednesday. If your museum offers weekly late night hours, consider going a few hours before closing time. For instance, the Museum of Modern Art (MOMA) in New York stays open until 8 p.m. on Thursdays in the summer, so entering after about 4 p.m. on a summer Thursday is a good plan. In short, the best day to visit a museum depends on you and the museum you want to visit. Research is the key here. Talk to friends who have toured the museum you want to visit. Check the museum’s website for schedule information. Talk to a museum staff member or volunteer and solicit their recommendations. Museum lovers are usually quite happy to share their knowledge and experience with others. MuseumIn.org is the best place online to help you discover new museums and learn all of the information you need to make a visit including museum hours, prices and location.